The latest development in the never–ending saga of the MASN dispute between the Baltimore Orioles and Washington Nationals is a victory for the Orioles, but it’s unclear just how significant that victory will be. Earlier this week, the Nationals tried to stop the latest portion of the dispute (over MASN profit-sharing payouts that weren’t delivered last year) from heading to an outside arbitration company, claiming they hadn’t agreed to arbitration on this front and that the Orioles’ claims that MLB couldn’t handle it internally because of their interest in the Nationals (in particular, a $25 million loan advanced in 2015) were invalid. But on Wednesday, a New York judge denied the Nationals’ petition to block the move to arbitration. Judge Barry R. Ostrager on Wednesday sided with the Orioles, ruling that the profit disbursement issue does require independent arbitration to decide whether the commissioner could ultimately rule on the dispute. The process to select arbitrators — both the Nationals and Orioles share the responsibility — is currently underway. “It would be illogical to allow MLB — a potentially conflicted party — to determine whether MLB itself had a financial interest in one of the parties to the dispute at the relevant time,” Ostrager wrote. This particular portion of the dispute is about the Nationals’ complaint that they didn’t receive profit-sharing money from MASN last year, which Strauss’ sources say was in the $5-10 million range. They did receive about around $50 million in rights fees. (That’s a rise from the $46 million they were estimated to get in 2016, but behind the estimated local rights fee payouts for 12 other MLB teams that year.) 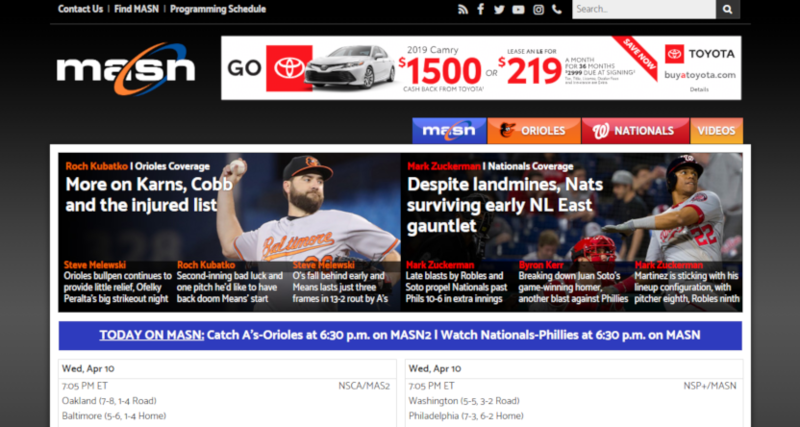 MASN defended the lack of a profit-sharing payout by citing “uncertainty in the cable TV marketplace” and saying they didn’t pay the Orioles (who currently own 80 percent of MASN to the Nationals’ 20 percent; the Nationals’ ownership percentage is supposed to increase by one percent yearly until they hold 33 percent) either. The Orioles would be in line for about $20 million in profit-sharing under the current formula. Last fall, the Nationals asked commissioner Rob Manfred to force that payout. The Orioles tried to block it with a move to arbitration to see if Manfred could rule on that given MLB’s purported financial interest in the Nationals, and the Nationals then tried to block that move to arbitration. That Nationals’ blocking effort has now been overruled by Ostager, so barring further developments, an arbitrator will rule on if Manfred can rule here. But regardless of what result comes out of that, there still seems to be a long way to go in this overall dispute.